Categorised: 5 Things, Apple, Blogging, Technology, Web Design. As most of the readers of this blog know, I’m an OSX user and also a blogger. I’m not entirely sure why that conjures a self-help group image in my mind, but I’ll just have to get over it. I’ve not been an OSX user for an awfull long time, only around a year, but in that time I’ve been completely sold on OSX as an operating system and Apple as a company. Probably the best thing I can say about OSX is that I know very little about it, it just works. Compare this to my first year as a Windows user and I had to fix so many problems I already knew the inner workings intimately. besides from my obvious inclination towards OSX, how does it work out as blogging platform? Very well, I can report. Below I’ve listed my favourite five (six really) OSX tools for blogging, even though they can all also be applied to web design. Analytics Dashboard Widget (Dashalytics) – Some people love the Dashboard, others hate it. Personally, I sit in between. I wish it used less memory but if you get the right collection of widgets, it can be very handy. One of the great advantages of using dashboard is the ability to quickly display small bits of information. One such application is the ability to view your Google Analytics statistics right in your dashboard. This is a winner for me because it not only supports multiple sites but also multiple statistics, and it’s all displayed in a very nice interface. Personally, I love this dashboard widget because it very quickly gives me access to the headline Analytics stats I’m interested in without having to dig through the slightly overwhelming Google Analytics interface. Of course, sometimes you do need to dig right into the stats, and when you do you need to know what stats to be be interested in. Adsense Dashboard Widget (RevenuSense) – With the danger of this becoming a Google/Dashboard love-in, I thought I should cover this great little widget as well. All this widget does is show you your daily adsense earnings, along with some other key stats, like ePCM and hits. You can’t really get much simpler that that and so far, RevenuSense is the only Adsense dashboard widget which seems to actually work. TextMate & Transmit – There are so many free and open source text editing and ftp clients out there, it takes something special for me to go out and actually spend money on some. Fortunately, both TextMate and Transmit are so far ahead of the crowd, they are really worth the investment. TextMate has become an essential tool for OSX bloggers for two reasons. Firstly, through the use of a bundle, it has easy support for WordPress (and other platforms) theme creation. This means that you don’t need to head off to the WordPress codex to find out the syntax for every tag, it’s right there in the editor. Secondly, through the use of another bundle (a bundle is TextMate’s equivalent of a plugin) you can post directly to your blog. A whole boat load of different blogging services are supported, including WordPress and Moveable Type, and it’s pretty fully featured, allowing things like images to be uploaded, custom fields and updating existing posts. It’s very sleek. Have a look at this blog post on the TextMate blog for further details, and be sure to check out the linked screencast. Transmit is just a great FTP client for OSX. One of the features bloggers will especially like is the ability to create “droplets”. A droplet is an icon you can drop files onto and have then automatically uploaded to a pre-determined location. It’s the quickest way to upload files, period. If you’re into theme creation, using TextMate and Transmit together is simply a joy. 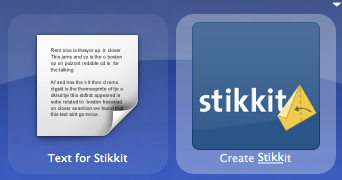 You can edit files that are on a remote server using the two applications, which is fantastic. Quicksilver (+Stikkit) – I’ve covered both Quicksilver, and my method for managing blogging using Quicksilver and Stikkit before, so I won’t bother reiterating it. Suffice to say, I’m yet to find anything better (or even close). What I will say is, I’ve got a fantastic post on Quicksilver coming up in the next few days. It may completely change the way you use it. If you liked this post, and you use OSX, why not have a look at 5 Hidden OSX Gems, 5 More Hidden OSX Gems and Why OSX is the Ultimate Web Design Platform. If you liked this post and are a blogger, why not check out How to Scientifically Identify Content that’s Perfect for your Blog, 5 Ways to Monetize your Blog and One Week to a Professional Blog. There are 5 responses so far. View them below and add your own using the form at the bottom of the page. If you don’t like the idea of adsense settings in dashboard and you are obviously already using Firefox, look at the Adsense notifier add-on, I’ve been using it for nearly 2 years now and love it. I consider ecto (http://infinite-sushi.com/software/ecto/) an indispensable tool! I’ve not come across that plugin before Mike. The only problem I can see is that it’s out there for everyone to see where the dashboard widget is at least hidden most of the time. Nevertheless, I may give it a try. It’s a good alternative, thanks for pointing it out. Dave, I’ve tried ecto previously but couldn’t really get into it, I’m not really sure why to be honest, because it sounds like something I would love. It was while ago though, so I may give it another chance. Scribefire even if its not an OS X only tool. I went through quite a few blogging clients until I ended up using Scribefire. Simply because it was uncomplicated AND useful. Besides blog posts its a handy tool for adding comments (I’m writing this comment using Scribefire 😉Uncluttered UIthat lets you switch switch between source and rich text views. It also give you enough quick inserts of HTML tags like lists etc without a clutter interface. There are also other formatting options like indenting and font changes. I avoid those since I prefer such things to be done via CSS. Plenty of features for advanced users (I’m not one of them). You can add category tags, keeping track of your posts etc. You automatically create a local easy to manage (even has a little search feature) backup of your posts. Even access/admin your blog with the account wizard feature – never tried it since I’m paranoid. I just copy paste the source into the blog or comment box.Its cross platform and is actively developed so there are regular updates bug fixes. Cross platform factor is nice if you are getting stuck in the windows world (like me) you can still access a familiar environment.